CTC Plastics is already building the pallets of your needs. 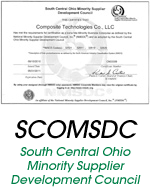 Exemplary proprietary products formed at our two Ohio locations are serving companies around the globe. Our reusable plastic pallets are meant to last while hauling your heaviest loads. Our retail display plastic pallets exhibit store products and can be easily relocated between the stockroom and the showroom floor. Our export pallets are designed to be reliable shipping to any country in the world.